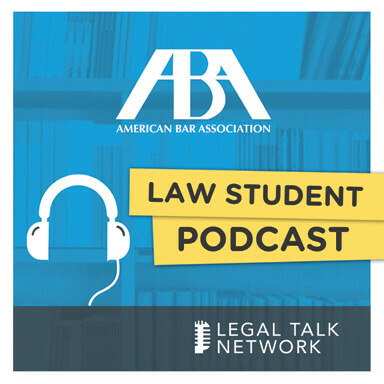 ABA Law Student Podcast hosts Fabiani Duarte and Madison Burke sit down with Chris Jennison, the ABA Law Student Division’s representative to the ABA Board of Governors, to discuss the governing role of the ABA Board of Governors and how its actions affect the lives of law students and recent grads. Since 2009, the Law Student Division has been able to vote on the Board of Governors and they are actively using that power to improve the plight of fellow students. Currently they are advocating for Interpretation 305-2 which would allow ABA accredited schools to let students receive both pay and credit for their externships. In addition, they are supporting the spread of the Uniform Bar Exam, which allows one exam score to be applied to multiple state bars in the states that participate. The net effect will make it cheaper and easier to get admitted to the practice of law in multiple states. As for future initiatives, Chris discusses the Limited Licence Legal Technician program in Washington and increased student access to the American Bar Association’s various sections, divisions, and forums. Tune in to hear what’s being done about mounting student debt and the status of public service loan forgiveness. Christopher Jennison is a third year law student at the Syracuse University College of Law. In 2015, he was elected Law Student-at-Large for the American Bar Association’s Board of Governors, where he has voting rights on the board representing the interests of law students at the nation’s more than 200 ABA accredited law schools.